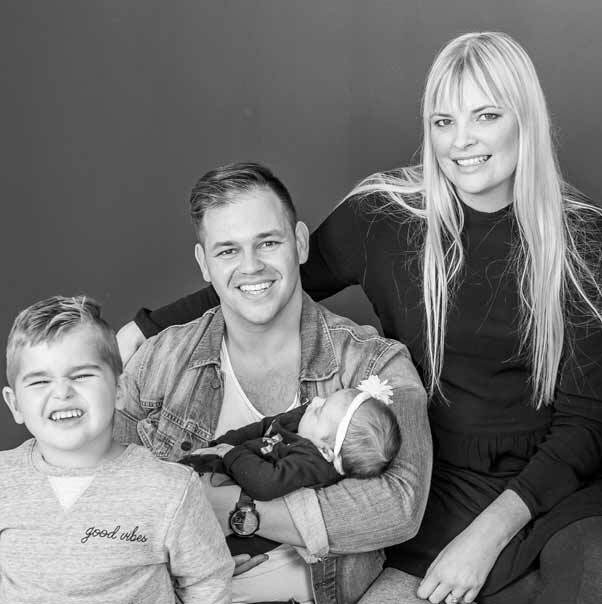 As your Pastors we feel so humbled, excited and privileged to share the vision that God has put onto our hearts for View Church Tygerberg Hills in 2019. At View Church Tygerberg Hills, we have the greater vision of Changed Lives, Changing Lives. We believe that as Christ changes us and empowers us to be more than we ever could be on our own, we are called to extend our hands to others to help them become all that Christ has called them to be. Upon reading these, we asked ourselves what this would look like practically for our church. In short, we can say with confidence that God is asking us to seek measurable change in heaven by saving souls, and measurable change on earth by seeking justice. We believe that, although we are a young church, we are a strong church! And God is calling us to share our strength with our community. This is your official invitation to partner with us as we GO 52:7 in 2019. We know that God has given this word to us, and He is faithful to complete what He has started. Each of us will carry the Good News of God into every sphere of our lives 52 weeks a year and 7 days a week. We will be the messengers who bring the message of peace and salvation in a world that needs it so desperately. We are confident that God honours those who sow into His kingdom, and cannot wait to see how He pours out his blessing onto every individual who actively seeks to change their world by committing to see lives changed and souls saved in 2019. Please continue to scroll down and see how we, as a church, are going to better implement this vision. – Sunday mornings at church 7:15-8:15am. We are believing for Land to develop a permanent beacon of hope for our community. A place where we are able to build a permanent home for View church Tygerberg Hills. We say this often, only because it is true: we learn in rows but we grow in circles. Our goal is to have 30 View Groups across many different neighborhoods. You can be a part of creating space for others to receive care and community by: joining a view group, hosting a view group in your home, or helping lead a view group! Our average attendance in 2018 was 271 people per Sunday. This year we are believing for our average to grow to over 400 people which means that each week, each one, needs to reach one! We plan to accommodate our anticipated growth by adding a second morning service in October! We currently have 130 of the most incredible volunteers in the world! And we are believing to grow our team to over 200 volunteers by the end of 2019! We are stretching our faith and placing all of our energy into seeing more than 500 souls saved and lives changed at View Church Tygerberg Hills this year! We are preparing to launch our Youth in Term 2 this year called View City so that we can GO to all generations! We are placing more focus on Young Adults and Student Ministry. We are gearing up for another age-specific Kids venue called ‘Jam City’. This will be for pre-Grade R and Grade R children, so that we can serve them even better! We will GO to all generations by launching an Ever Green Seniors Ministry in 2019! This year we are looking to GO by employing a homework tutor/mentor that will run a homework center for children who are struggling to pass Grade 1. We would like to renovate a container- make it beautiful and valuable – so that children have an empowering space in which to learn. This is a way for us to see measurable change on earth. We would like to run two missions trips from View Church Tygerberg Hills this year to see lives changed and souls saved. We have partnered with two Life-Giving, Jesus-Preaching mission organisions in Zambia and Lesotho. We believe that by partnering with these organisations, we will see measurable change on Earth and in Heaven.